Improvements in the quality of protective equipment—such as padding and helmets—have made sports participation safer than ever before. Even so, chil­dren's bodies are still vulnerable to injury. 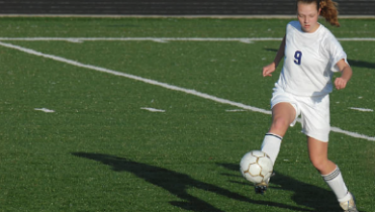 As pre-teens enter into puberty and grow taller and heavier, their risk of ACL injury increases – beginning at age 12 for girls, and age 14 for boys. Girls are at higher risk of ACL injury because after puberty, as their body size increases, girls do usually not develop more muscle power. Learn more here. When is an Athlete Ready to Return to Play?